Korean rock legend Shin Joong-hyun will be joining the all-star line-up at this year’s Hyundai Card Super Concert 19 City Break festival in August. Going head-to-head with rival summer music festivals such as Ansan Valley and Incheon Pentaport Rock Festivals, the two-day City Break event will feature the 75-year-old guitarist alongside headliners Metallica, Muse, Iggy and The Stooges and Limp Bizkit. They will be joined by local acts including Jang Ki-ha and the Faces and Kwon Soon-kwan. Shin started his musical career as a teenager, teaching himself how to play while working at a pharmaceutical factory. He eventually rose to become a local rock star by playing for the U.S. Army in Korea in the late 1950s under the stage name Jackie Shin. However, during the peak of his career, Shin found himself in a constant struggle against government and political suppression of his music. In the early 1970s, he received a call from the office of former President Park Chung-hee demanding that the rocker write a song in praise of the Korean leader. Shin refused. Afterward, Shin’s music was banned and the musician was continuously harassed and eventually arrested, tortured in prison and later incarcerated in a psychiatric hospital. After the assassination of President Park in 1979, the political situation in the country shifted, and during the ’90s, Shin started performing again and people began to rediscover his music. In 2009, he became the first Asian musician to ever receive the coveted Fender Custom Shop Tribute Series Guitar, along with rock-and-roll legends like Eric Clapton and Eddie Van Halen. 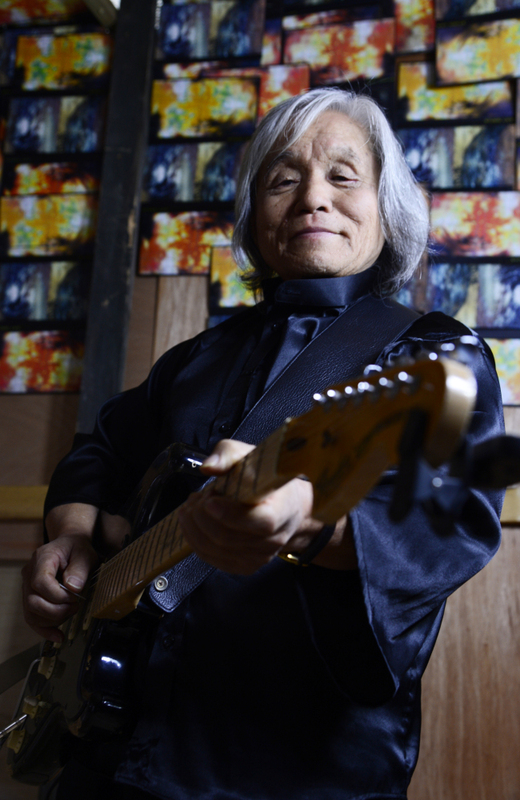 He is now considered one of the most instrumental and influential figures in the Korean psychedelic rock movement in the ’60s and ’70s. Shin will be performing live on stage along with his three sons, who are also rock musicians, Shin Dae-chul, Shin Yoon-chil and Shin Seok-chul. The City Break music festival will be held on Aug. 17 and 18 at the Jamsil Sports Complex with ticket prices at 250,000 won for a two-day pass and 165,000 won for a one-day pass.